I apologize to everyone who came looking for my posts, but left empty-handed. I had some issues in the first half of the week that prevented me from posting my thoughts on the market and hopefully all of that is behind me. 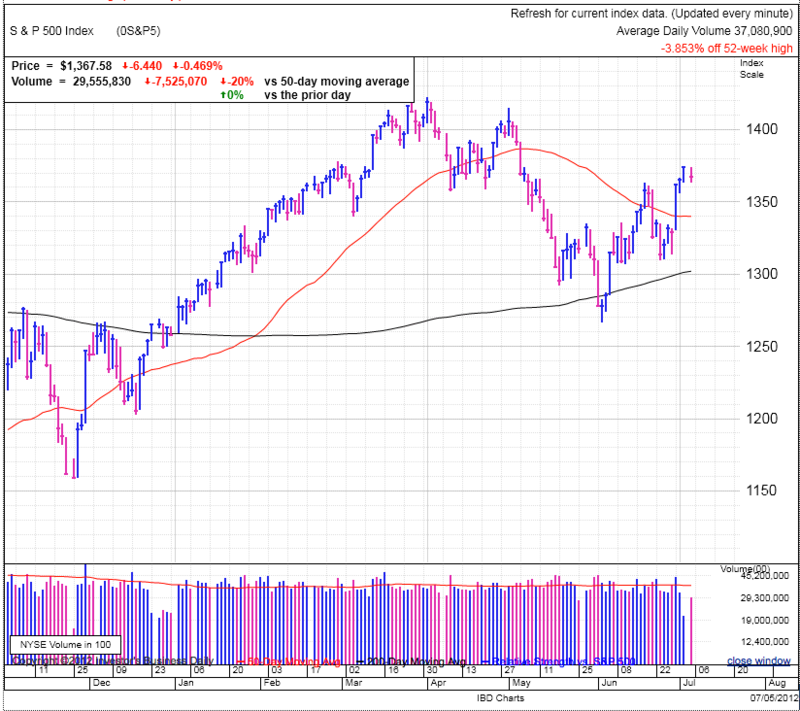 Even thought this is a holiday week, the market held Friday’s large gains. Being a contrarian, I’m suspicious of this strong rally and resisting the temptation to jump on board. As self-selected investors, we tend to have a bullish bias and it only takes a few good days to get us excited to jump back in the markets. There is no reason we can’t rally from here, it is just the market usually isn’t that easy. The best rallies come after the most demoralizing periods. If we want a strong rally, we need to base some more. Pure speculation here, but the potential pullback in front of us could take us under the June 4th low before reversing higher. From that point we could see a slow progression of higher highs and higher lows as we inch through the trading range. But to be most effective we need one more flush-out at the bottom of the range to refresh the market. But like always, these are just my thoughts and the market will do whatever it wants regardless of what any of us think.